Barizorg appears in flashback to be a friend of Joe in the past. They were once comrades who became enemies. Liveman had that too. Yuusuke, Joh and Megumi also lost their friends who became members of Volt. Like Mazenda, Barizorg became a cyborg too except in Barizorg's case - he was forcibly turned into one. The episode also focused on a plot to turn people into cyborgs. Cliche but powerful. Joe because of his friend Sid having turned into Barizorg is forced but to fight a former comrade. That's what Liveman was exactly rooted upon friends why are we now enemies after some time? I just think it was appropriate to put Joe Gibken as a blue ranger for that purpose. Megumi Misaki as a blue ranger had a lot of blues to deal with. Blue rangers get blue, get it? As to say it, very good Sentai soap material. This is definitely another classic find. Okay she's in her 40s but still... this picture is amazing. A reunion with Ryosuke Sakamoto. What's this event? Too bad she didn't appear in the 199 Hero Battle of Gokaiger. Rumors of Gai Ikari's Death? ThatChick, perhaps Gai Ikari can't see Gai Yuuki because Gai Ikari is dead? Maybe that truck did kill him and that he's just living on borrowed life? That's my thought. As of right now, it sounds very possible considering most people don't survive truck accidents. If he were hit in suit, he would have survived. But outside the Sentai suit, any stupid incident can kill a person like Gai Yuki's death by a mugger (who some believe is Radiguet). It's nice to see an older Toshihide Wakamatsu back... but it looks like he didn't age so much. He's into J-Drama lately. I wonder who he's married to? 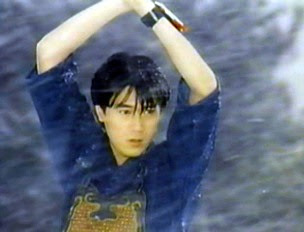 Gai Yuuki in action is cool. 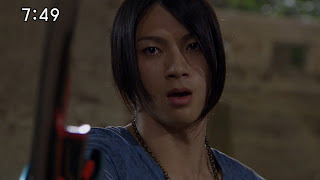 He's just as rough as ever- dealing with the Gokaigers. He's helping them face their worst fear.. He does flirt with Luka which is creepy. I hate it that Gai Yuuki never met Gai Ikari. Bummer. Really those two should meet and be double Gai team. 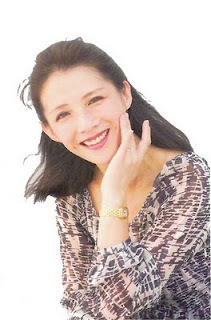 Although some are glad that Gai Ikari never met Gai Yuki. However I could imagine what conversation can happen between these two guys. Gai Ikari: Hey Gai Yuki why can't you let me have your autograph? Gai Yuki: Because I hate natto and other Gais especially those surnamed Ikari! 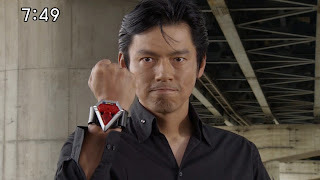 Gaku Hoshikawa/Five Red- His birthday was wrecked by Toad-Alligator Gin, he was killed but was resurrected by a time reversal. Ryu Tendo/Red Hawk- He celebrated his 26th birthday when Camera Jigen attack. Gai Yuuki was such a pain to ruin the mood too. Tsurihime/Ninja White- All the boys were somewhat after her. Hee hee.